Patrice Hinton Oswalt was flattered upon opening her e-mail and finding an Evite to a client’s long-awaited graduation. Choosing whether to accept or decline the invitation was no simple decision, however. Oswalt was keenly aware that engaging in contact with a client outside of the counseling office could have ethical consequences. But she also knew the ethically “correct” answer could only be reached by weighing the best interests of her client. So, when the client came in for her next session, Oswalt, a career counselor with a private practice in Birmingham, Ala., opened the discussion by addressing the situation. She asked the woman to think about how it might feel to have her counselor present at the graduation. The client had been coming to Oswalt for a year and a half. During that period, the client had been working full time while simultaneously earning a bachelor’s degree. She had sought out Oswalt mainly for career issues, but the two had also discussed issues surrounding the client’s relationship with her husband. If Oswalt attended the client’s graduation, the likelihood existed that she would meet the woman’s husband and family. Might that lead to questions about the client’s counseling work that the client wouldn’t want to deal with on her graduation day? “I wanted her to think through it in a 360-degree way, all the way around, not just get caught up in the moment of inviting everyone,” says Oswalt, a member of the American Counseling Association. After reconsidering the situation, the client decided it would be wiser not to have Oswalt attend the graduation. Oswalt’s graduation invitation is just one example of the ethical dilemmas that confront counselors on a daily basis. To help counselors anticipate common ethical challenges and learn how best to handle them, Counseling Today invited Oswalt and four other ACA members with expertise in counseling ethics to provide some insights. When the 2005 revision of the ACA Code of Ethics acknowledged that multiple relationships (referred to as “nonprofessional interactions or relationships” in the ethics code) are sometimes unavoidable and that they can be acceptable when carried out ethically, Oswalt applauded. “I like that the door opened up a little. It’s a more realistic way of approaching the counseling relationship,” says Oswalt, who presented on “Hot Topics in Counselor Ethics” at the ACA Annual Conference & Exposition in New Orleans in March. In the past, Oswalt says, even if you were the only counselor in town, you might have felt compelled to shut your office doors to someone you knew on a personal level in an effort to avoid any potential boundary issues. This challenge proved particularly formidable to counselors living and working in rural areas, for whom secluding themselves from community life wasn’t feasible. Jeffrey Barnett, professor in the Loyola University Maryland Department of Psychology, says the belief used to be that counselors should never carry on multiple relationships because any contact with clients outside of the counseling office would automatically have negative consequences. “But the most recent thinking is that there is a big difference between crossing a boundary and violating a boundary,” says Barnett, who coauthored the Ethics Desk Reference for Counselors, published by ACA, with W. Brad Johnson. Certain multiple relationships are now ethically acceptable, Barnett says, such as counseling your child’s teacher if no other counselors are available in the area. “Sometimes it’s us or nothing,” he explains. Instead of admonishing any and all multiple relationships, the focus of the 2005 ACA Code of Ethics shifted to determining whether any harm might come to the client if a multiple relationship existed. One important standard to keep in mind when considering crossing a boundary is the potential for impairment of objectivity, Barnett says. “If it’s a conflict-of-interest situation or if I can’t remain objective, it’s probably not a good idea,” he says. Returning to the example of counseling your child’s teacher, Barnett recommends compartmentalizing the roles — not asking about the teacher’s depression at the parent-teacher conference, and not asking about your child’s homework at a counseling session. Oswalt adds that it is also wise to reread the ACA Code of Ethics or to use an ethical decision-making model, such as the one designed by Holly Forester-Miller and Thomas Davis, before proceeding. Some multiple relationships, of course, remain clear ethical violations. Ted Remley, director of the counseling graduate program at Old Dominion University and a former executive director of ACA, served on four licensure boards over a 20-year period. During that time, he saw more than a few counselors stripped of their licenses to practice after having sexual relationships with clients. Although sexual relationships with clients are a clear violation of boundaries, they happen more than people might expect, Remley says. Gary Goodnough, cochair of the ACA Ethics Committee and professor of counselor education at Plymouth State University, agrees that sexual boundary crossings, whether between a professor and a student or a counselor and a client, are always a hot-button issue in ethics. But he says these boundary violations are rarely the result of counselors being unfamiliar with the ethical guidelines. “I think it has to do with unmet needs that counselors have as human beings that cause them to behave in ways [in which they] meet their needs at the expense of others,” Goodnough says. Like Goodnough, Remley thinks sexual missteps occur when counselors allow their own needs to invade the counseling space. Although inappropriate relationships can take many other forms, such as a counselor going on vacation with a client or hosting clients in the counselor’s home, Remley points to sexual impropriety as the ultimate problem. Part of the solution, he says, lies in counselor education programs addressing such ethical issues and preparing students to handle them. He adds that practicing counselors need to process their feelings when they are socially or sexually attracted to clients by consulting with peers. Goodnough suggests counselor educators bear some responsibility in staying alert for red flags in student behavior. Students are enrolled in counseling programs for at least two years, which is long enough, Goodnough says, for professors to notice students with personality problems or unmet needs that might lead to significant ethical violations down the line. Faculty members should monitor students and assess their attention to ethical and legal issues, he adds. If problems occur, a remediation plan can be set up for the student. If the student is still unable to meet the goals, he or she may be dismissed from the program. “We need to pay attention to our gut as counselor educators, as well as to indicators that we set up for students to meet,” Goodnough says. Ethical boundaries can be violated not only when dealing with multiple relationships outside the office, Barnett points out, but inside the counseling office as well. Again, it’s an issue of crossing versus violating a boundary. Crossing a boundary, Barnett explains, would be consistent with the client’s treatment plan, culturally welcomed by the client, motivated by the client’s best interests and an action considered professionally acceptable. For instance, with a grieving client, Barnett says he might put his hand on the client’s shoulder or give him a hug to show support. But carrying out that same gesture with a client who has a history of sexual abuse would be very wrong, Barnett says. Whereas a boundary crossing can be clinically acceptable and appropriate, a boundary violation is unwelcome by the client, motivated by the counselor’s personal needs and harmful to the client. Technology is designed to make things easier and more accessible. But counselors caution that technological advances can also usher in ethical unknowns. Laura Hahn, a private practitioner who offers counseling and consulting services in Atlanta, says the Internet can blur the boundary lines between counselors’ personal and professional lives. Many counselors have professional websites and social media pages while also maintaining a personal presence online. Hahn says it’s important to keep the two identities separate. Hahn, an ACA member who presented on “Ethics and Technology” at this year’s ACA Annual Conference, points out that counselors have greater control over information they publish themselves, making it easier to keep boundaries intact. But they have less control — and might even be unaware of — information that others publish, such as photos posted by their friends. Hahn says it’s important for counselors to know what’s available about them on the Internet because their clients may be reading things posted not only by the counselor but about the counselor, including information ideally meant to be personal in nature. She advises that counselors regularly conduct a Google search on themselves to monitor what comes up in the results. Counselors should also take steps to keep personal and professional information separate, Hahn says. “On a social network site like Facebook, use a ‘Page’ to display professional information and use a ‘Profile’ to display personal information. The page allows you to publish information for client use and does not have friends associated with it,” she explains. The 2005 revision of the ACA Code of Ethics took place prior to social networking’s explosion in popularity and doesn’t address the topic directly, says ACA Manager of Ethics and Professional Standards Erin Martz. That means social networking can quickly become an ethical conundrum for counselors. Martz says sites such as Facebook should be treated as social interactions even though they’re virtual. The deciding factor then should be whether the interaction benefits or harms the client, she says. Martz points counselors toward Standard A.5.d. 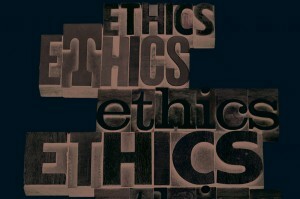 of the ethics code, which addresses Potentially Beneficial Interactions. Hahn simply suggests refraining from “friending” clients on Facebook. “Make it a policy by adding a statement to your informed consent documentation, and inform your clients up front,” she says. Counselors who find clients being overly interested in the counselor’s personal life and conducting intrusive online searches can explore that topic with the client in therapy, she says. Counselors should be mindful of the content of everything they write, whether in an e-mail, a text message, a Facebook post or any other electronic communication, Hahn says, because the messages can be reposted or forwarded to those not originally intended to be recipients. Hahn suggests that counselors looking to create a web presence for their professional practice should first read Standard A.12. (Technology Applications) of the ACA Code of Ethics to make sure they’ve done their homework before launching a website or networking page. For those counselors already online, Hahn recommends rereading the code to ensure that everything they have online is ethically sound. Technology also expands accessibility to counseling, whether through videoconferencing services such as Skype, instant messaging, e-mail or another form of technology. Offering counseling services online connects people with therapy when they might not otherwise be able to head to a counselor’s office, Barnett says. Barnett recommends that counselors offering online counseling of any kind provide thorough informed consent so clients will understand the pros and cons, risks and benefits of the process. Also set out a clear fee structure, he says, including whether e-mail is charged based on the time the counselor spends in responding or by the number of lines. In addition to having the clinical competence to address a wide variety of topics with online clients, it’s also important to be technologically competent, Barnett says. Before proceeding, he adds, counselors should be sure they have the right technology and know how to use it effectively. Also important, Barnett says, is that counselors are both licensed and competent to provide the services they are offering online, just as they would be if offering those services in person. Even if counselors are licensed in the state where they are giving the advice, it can be problematic if they aren’t licensed in the state where the client is receiving the services, he says. That’s true, Martz says. Although regulations can vary from state to state, most states do not allow counselors to provide counseling services — virtual or in person — unless the counselor is licensed in the state where the client is located. Because ethics are tied directly into following the law, Martz says that ethically, counselors offering services to a client in another state need to find out what the laws are and follow them. Beyond boundaries and technology, a range of other topics can prove to be ethical sticking points for counselors. For example, Oswalt says, diversity and multiculturalism. “It’s hard to be an expert in all areas of multicultural awareness,” she says. But she adds that it’s the counselor’s responsibility to step outside his or her own worldview when helping clients. Oswalt says her goal is to be able to sit across from her clients and have a grasp of some of the external issues that might be affecting them. To do that, Oswalt says she takes advantage of training opportunities at state and national conferences where she can expose herself to different cultural competencies. If counselors find themselves lacking the cultural context to understand what might be going on with a client, Oswalt recommends referring. To broaden their multicultural competence, Oswalt suggests that counselors participate in individual or group counseling, do volunteer work with populations with which they are unfamiliar, participate in workshops that highlight specific cultural groups or discuss issues in a supervision group. “The insights and information they gain will better prepare them to understand diverse clients, avoid discrimination and select culturally sensitive and appropriate interventions,” she says. In addition to finding a decision-making model, Barnett says it’s important for counselors to be aware of the major areas where ethical dilemmas might occur, such as confidentiality, competence and multiple relationships, and then take action to prevent difficulties. Counselors should be cognizant of their own motivations for decision making, use self-awareness to notice when difficulties are first beginning and then respond appropriately, he says. Yet another important perspective is the idea that ethics are meant to guide you, not your neighbor, Remley says. “In my opinion, the ethical standards are meant to be applied to ourselves. Counselors should be using them to guide their individual behavior, and one of the problems is a lot of people want to impose the ethical standards on others. In a way, that is inappropriate,” he says. Remley says some counselors get in the habit of using ethical standards to judge other people’s behaviors or professional decisions rather than simply saying, “I don’t agree with you.” He offers a hypothetical situation: A counselor is working in a community mental health center, and after talking to a client, the counselor chooses not to have that client admitted to a hospital against his will. One of the counselor’s colleagues might think that it is the wrong decision to make, but instead of saying “I don’t agree with you,” the colleague labels the counselor unethical. There are times when it might be appropriate to deem someone’s decision unethical, Remley says, but those times are few and far between, because very seldom is a case that clear-cut. People cut others down by calling them unethical because it’s more powerful than just disagreeing, Remley says, but he warns that the approach can have a grave effect on an individual’s reputation. Striving to be ethical is at the heart of being a good counselor, Goodnough says. “Professional ethics are an extension of our own integrity,” he says. Among Goodnough’s list of recommendations for practicing ethically as a counselor: Be mindful of your actions, be knowledgeable of ethical codes, consult widely on ethical dilemmas, engage in continuing education, be affiliated with a professional association and always be in a supervisory relationship. Among Oswalt’s tips for ethical practice are understanding ethical codes, consulting with colleagues for advice when ethical difficulties arise, keeping up with current literature in the field, knowing how your state laws apply to the profession and taking full advantage of member benefits through ACA, including free ethical consultation. Counseling Today posed four questions to Erin Martz, manager of ethics and professional standards at the American Counseling Association. Martz fields calls and e-mails from ACA members about ethical dilemmas — more than 500 inquiries a month on average — and provides members with free ethics consultations. What are the top three issues you receive calls about, and what advice do you offer to counselors regarding those issues? Mandatory reporting. In order to ensure that confidentiality is being appropriately preserved, counselors need to have a working familiarity not only of the ACA Code of Ethics, which discusses the ethical obligation to disclose information for danger and legal reasons (Standard B.2.a. ), but also the laws that pertain to their state, county, etc. Mandatory reporting regulations can vary significantly, and these differences can impact the obligation to disclose confidential information. HIV status. Often, counselors question whether they are permitted to disclose that a client is HIV positive if that client is reporting unsafe sexual activity. Aside from referring to Standard B.2.b. (Contagious, Life-Threatening Diseases) of the ACA Code of Ethics, counselors again need to familiarize themselves with the laws in their state regarding this topic. While some states do allow counselors to disclose HIV-positive status to identifiable third parties, the majority of states restrict this capability to medical professionals. Access to records. Counselors are sometimes concerned when clients ask for access to records or case notes because they fear that some of the information contained may be misinterpreted or harmful to the client. Standard B.6.d. (Client Access) provides the ethical process for determining how and if to make this information available to clients. If the access is granted, however, the counselor needs to provide the necessary consultation and interpretation for the client to understand the information. Too often, records are turned over without the appropriate amount of support on the part of the counselor. Why is informed consent so important? The informed consent process is crucial for multiple reasons. First, it helps the counselor establish rapport with the client and ensures that the client is actively involved in the counseling process. The informed consent document serves to provide information about the roles and responsibilities of both the client and counselor and allows for open discussion regarding critical components of the counseling relationship, such as tentative treatment goals, techniques and approaches that will be utilized, as well as the risks and benefits of services. From a practical standpoint, a proper informed consent can protect both parties in the case of a subsequent dispute involving such matters as fees and payment arrangements. Two recent court cases have put a spotlight on if and when counselors should refer clients. Can you offer any thoughts on appropriate referrals? Referral issues are addressed in Standard A.11. (Termination and Referral), and counselors should bear in mind that to preserve client welfare, it is imperative that referrals be the option of last resort — not the first. It is also important to remember that referrals should be based on a lack of competence on the part of the counselor, and competence is always an issue of skill, not values. The primary purpose of making an appropriate referral is to promote the welfare of the client, not to preserve the comfort level of the counselor. Can you share one last bit of advice about the ACA Code of Ethics? The ACA Code of Ethics was not intended to function as that old novelty toy, the Magic 8 Ball. It’s important for counselors to consider that although the ACA Code of Ethics provides guidance and principles that are germane to multiple aspects of situations commonly encountered by a counselor during his or her professional and/or academic activities, it cannot always provide specific answers to specific occurrences. Adopting an ethical decision-making model and familiarizing oneself with applicable laws and regulations is the best way to ensure that a counselor can appropriately respond to any potential dilemmas. Have an ethical or professional dilemma? Contact the ACA Ethics and Professional Standards Department at 800.347.6647 ext. 314 or e-mail ethics@counseling.org. 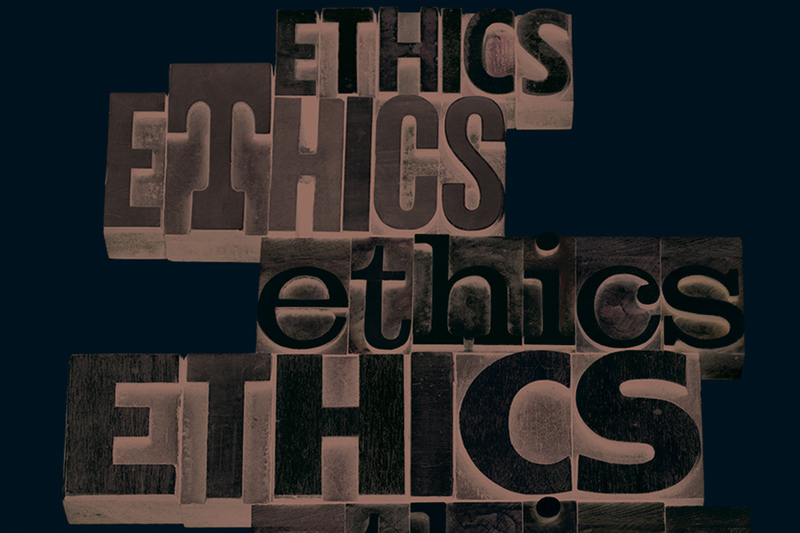 For more information and resources from the American Counseling Association, including 10 interviews about the revised ethics code, an online ethics course, a PDF of the 2005 ACA Code of Ethics and a practitioner’s guide to ethical decision making, click here. In addition, the following books can be ordered directly through the ACA online bookstore at counseling.org/Publications or by calling 800.422.2648 ext. 222. Ethics Desk Reference for Counselors (order #72893) by Jeffrey E. Barnett and W. Brad Johnson helps readers interpret and apply the ACA Code of Ethics to prevent and resolve ethical dilemmas ($32.95 for ACA members; $44.95 for nonmembers). The Counselor and the Law: A Guide to Legal and Ethical Practice, fifth edition (order #72857), by Anne Marie “Nancy” Wheeler and Burt Bertram offers a broad overview of the law and the potential areas of liability that counselors might encounter ($37.95 for ACA members; $49.95 for nonmembers). ACA Ethical Standards Casebook, sixth edition (order #72839), by Barbara Herlihy and Gerald Corey provides a detailed analysis of the ACA Code of Ethics and a foundation for ethical decision making in counseling practice ($38.95 for ACA members; $60.95 for nonmembers). Boundary Issues in Counseling: Multiple Roles and Responsibilities, second edition (order #72840), by Barbara Herlihy and Gerald Corey reflects the profession’s most current thinking on nonprofessional and multiple relationships ($36.95 for ACA members; $52.95 for nonmembers). Documentation in Counseling Records: An Overview of Ethical, Legal and Clinical Issues, third edition (order #72851), by Robert Mitchell offers guidelines on keeping client records that are legally, clinically and fiscally sound ($25.95 for members; $33.95 for nonmembers). Past trauma in counselors-in-training: Help or hindrance?